Can puzzles be used as an assessment tool in the classroom? Word search puzzles are a great strategy to assess a student's knowledge base. 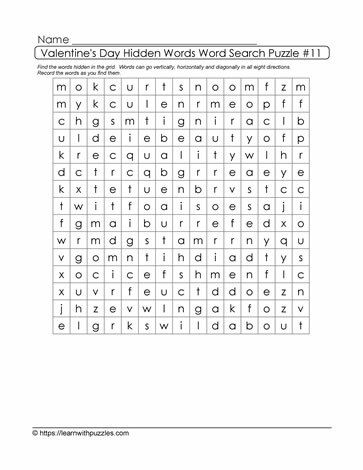 Use this Valentine's Day hidden words word search puzzle to measure students' understanding of vocabulary associated with this theme. To solve the puzzle students need to draw upon their foundational knowledge, locate the words in the grid, and then record the list of words in the space provided. This puzzle is best suited for students in grades 6,7,8 classrooms, homeschooling environments and also supports tutoring.